Can I Insure My Drone Against Environmental Damage? More and more people are using their unmanned flying robots outside. What can go wrong? Plenty. Whether you fly a drone as part of a business or just for fun, you are potentially liable for damage resulting from an accident. The damage can be significant. Without adequate drone insurance, you can find yourself in a real financial bind. Drones are used commercially as a less expensive alternative to traditional aviation. Nearly every industry has begun using drones in their activities. For example, real estate professionals, insurance, law enforcement, agriculture, and the energy industry use them for inspections and land surveys. Scientists use them to study and monitor wildlife and collect data in conditions where they previously could not safely. Even criminals are using them for smuggling. In 2016, the United States Federal Aviation Administration (FAA) adopted new rules for the commercial operation of an unmanned aircraft system (“UAS”, commonly called a drone). The rules apply to the unmanned aircraft (UA) weighing less than 55 pounds (including any cargo), and all of its associated support equipment, such as the control station, data links, telemetry, communications and navigation equipment, and so forth, necessary to operate the UA. 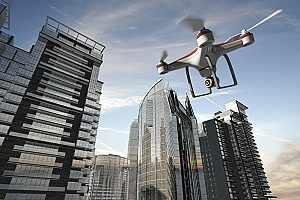 In addition, many drones carry an assortment of cameras, including high-definition video cameras that allow live streaming feeds, testing or inspection equipment such as thermal imaging equipment, or data collection equipment. Sometimes the equipment is worth more than the UA itself. Drones can cost as little as $30 and all the way up into the millions of dollars. 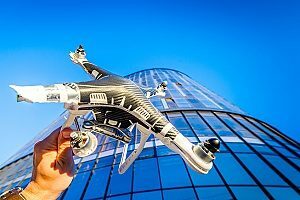 According to a study by Frost & Sullivan, sales of drones by the year 2020 could be as high as $4.5 billion each year, and $90 billion in the next ten years. Estimates are that 30,000 small UAs will be operating in that same year. This expansion in drone use and their role in both commercial and recreational activity are leading insurance carriers to develop new policies designed for the special aviation risks involved in drone operation. Insurance for drone operation is not yet required by law in the United States. That likely will change, considering the continuing explosion of drone activity and the piecemeal regulation being done by state and local governmental authorities. 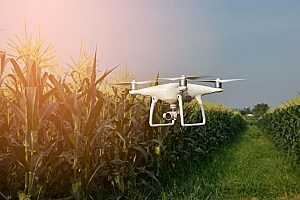 With drone use still in its early stages of growth, many drone operators are not formally trained, and even if trained, they may be inexperienced. They may not fully appreciate the risks presented by extreme weather, power lines, birds, equipment failure, and other challenges faced in aviation. Not only do these conditions present risks to the drone equipment and property, a drone falling out of the sky creates risks to anyone who happens to be in the area. Just ask anyone who was there when the drone used for aerial photography failed and struck some spectators at a sporting event. Imagine a hypothetical situation where the drone you are operating has a power failure in mid-air, or maybe it hits a strong wind gust or a bird, sending the drone spinning out of control. It crashes into a highway overpass and cracks apart, dropping pieces into the path of the highway traffic below, causing a traffic accident. A car bursts into flames and starts a grass fire alongside the highway. A couple of people go to the hospital for their injuries. Liability coverage protects drone owners against bodily injuries and property damage to other people’s property resulting from a drone accident. If you own a drone for commercial purposes and have no other drone insurance, liability coverage is a must-have. Liability coverage will protect your business from damage claims for property damage and bodily injury resulting from the commercial operation of your drone. The limits for coverage for liability start at $500,000, though some brokers will negotiate it up to $10,000,000 per occurrence, though it depends on the business and the clients’ needs. The coverage limits also depend on the broker’s underwriting criteria. Professional UA pilots have liability insurance to protect themselves against liability and to show they are serious and reputable. If you are a recreational drone owner or operator, you may be covered by your homeowner’s policy or renter’s policy. You should confirm that with your insurance agent and make sure you add coverage if you do not have it already. However, you may have trouble getting coverage unless you are a professional pilot. Non-Owned coverage protects the operator of a drone when the operator is not the owner. Non-Owned liability coverage protects an operator against damage and injuries that occur from operating a drone that is owned by someone else. If your business operates any drone that you do not own, you need Non-Owned liability coverage. The limit on Non-Owned liability coverage is usually the same as the owner’s liability limit. An accident like this that causes physical damage to the drone and the equipment used to operate it can be covered with drone hull coverage insurance. With drone hull coverage insurance, most of the cost to repair or replace your drone is covered by the insurance policy. It can cover total loss of the drone or the cost to repair damage to the hull, machinery, and equipment. Ground equipment such as computers and ground stations can be insured with a separate ground equipment policy. 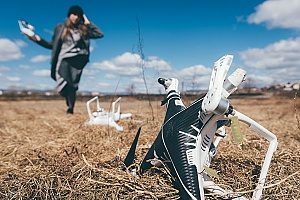 If the drone is carrying cameras or other equipment, you need separate insurance called payload insurance in addition to drone hull coverage insurance. It covers physical damage to a scheduled payload. If you are not the owner of the drone, its equipment or payload, you need non-owner coverage for protection, but you do not need drone hull coverage insurance. Operating a drone without adequate insurance is very risky. At a minimum, a professional drone operator needs liability insurance and potentially drone hull coverage insurance. Find out what type of drone insurance coverage is best for your drone activity. Call Insure My Drone and speak to one of their professional insurance agents about available coverage and a quote.